What are Child Rights – UNCRC? The United Nations Convention on the Rights of the Child (UNCRC) is a legally-binding agreement that describes what children need to survive, grow and live up to their full potential. All children everywhere in the world are entitled to all of these rights. The Convention also explains how adults and governments must work together to make sure all children can enjoy all their rights. As a Rights Respecting school, the UNCRC (United Nations Convention on the Rights of the Child) is at the heart of everything we do. Unicef’s Rights Respecting schools award is based on principles of equality, dignity, respect, non-discrimination and participation and at Henry Cavendish we are aiming for these values to underpin our school values and ethos. 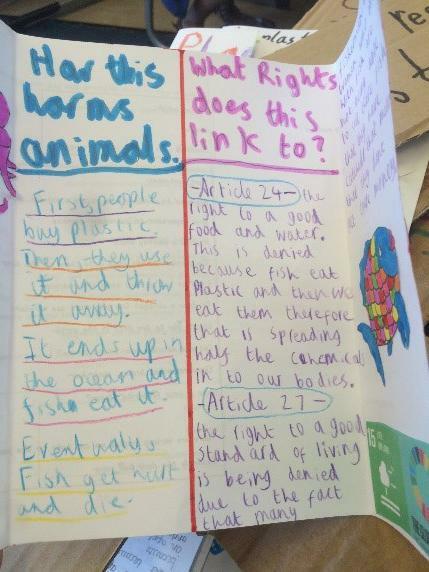 The UNCRC and its articles teach us that all rights are connected to each other and that all are equally important. Through the use of Rights Respecting language, planning for the inclusion of Rights in several curriculum subjects and Global Learning, young people at Henry Cavendish and the school community learn about children’s rights by putting them into practice every day. Children’s rights are promoted and realised by all adults and children at Henry Cavendish. At Henry Cavendish, we have ambassadors who work hard to help others in the school learn all about their rights and the United Nations Convention on the Rights of the Child. Our ambassadors are selected from Years 3, 4, 5 and 6 from our Balham and Streatham sites and are very proactive in taking assemblies to teach others about rights, leading campaigns on matters that they are passionate about regarding rights and encouraging the use of Rights Respecting language in all areas of the school. Thank you to our steering group ambassadors in Balham and Streatham who worked very hard to produce our very own Rights Respecting language booklet. The booklets provide examples of how Rights Respecting language can be used around school and every duty bearer working in the school has now been issued with one. To meet our Steering Group please use the link to their page below. At the beginning of each academic year all classes create a class charter. Each class chooses the rights that they feel are most important to them and decide on the actions that are expected of both children and adults in the class. In addition, the Rights Respecting Steering Group, along with other members of the the school community, have worked together to create a Whole School Charter. Please see the link below to find out more about our charters and for photos of some of our work. OutRight is Unicef UK’s annual campaign for young people, empowering them to speak out about the importance of children’s rights. A campaign by young people, for young people, OutRight is a celebration of the UN Convention on the Rights of the Child, the anniversary of which falls on 20 November, World Children’s Day. OutRight will focus on children’s right to health, including breathing clean air where they live, learn and play. In 71 per cent of UK towns and cities, children could be breathing unsafe levels of air pollution. UN Convention on the Rights of the Child: Article 24 Every child has the right to a clean environment, including breathing clean air wherever they live, learn and play. It is important to us that we highlight the high levels of pollution that affect us in London and use our voices to campaign for change (Article 12 - We all have the right to be listened to). 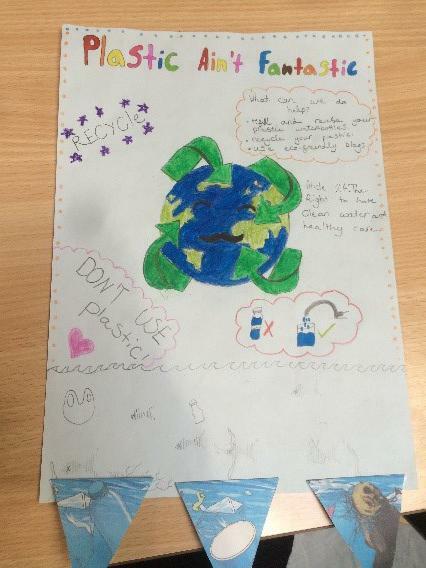 Our steering group, ECO team and school council have combined forces to ensure that the whole school get involved with this campaign. They have allocated different activities and tasks to all year groups from data analysis to writing to our local MP about the pollution issues that we face. Next week, for World Children's Day, the team will be leading an assembly to introduce OutRight to the rest of the school. Watch this space for updates on how we are getting on! our local community. 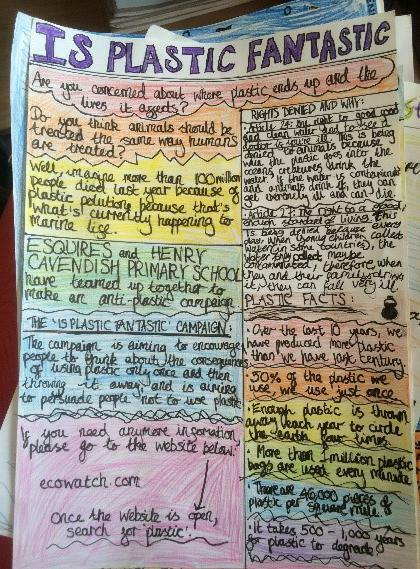 They designed activities for each year group to carry out such as animations, litter picks, leaflet design and even wrote an online quiz to help spread the message that plastic pollution is affecting both our environment and children’s rights around the world. Articl e 29: Your education should help you use and develop your talents and abilities. It should also help you learn to live peacefully, protect the environment and respect other people. A number of presentations and assemblies on the subject of Henry Cavendish as a Rights Respecting School have been delivered and can be viewed at the bottom of this page. You can visit UNICEF’s Rights Respecting Schools Website which is full of useful information www.unicef.org.uk/rights-respecting-schools or contact our RRSA Leader Miss Coulman who would be very pleased to hear from you.